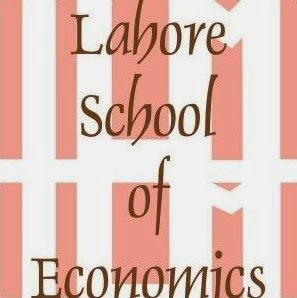 The Lahore School of Economics Association of Debaters (LSEAD) hosted the Fourth Annual Intra Lahore School Model United Nations on May 17, 2009. Students from different batches of the Lahore School of Economics assumed the roles of ambassadors representing member states of the United Nations in the one-day simulation conference. The students delegates also participated in the Disarmament Committee and the Human Rights Council, discussing contemporary issues of global importance. At the end of the third committee session, the delegates in each of the two committees successfully passed resolutions on the reduction of military budgets, and the curbing of arbitrary criminal detention; the topics of their respective committees. Seminar on Integrated Marketing Communication in Pakistan was held at the Lahore School of Economics on May 23, 2009. Javed Iqbal, the GM Marketing Icecream, Engro Foods covered Engro foods products like Olper’s milk, Olper’s cream, Olwell, Tarang Tea whitener and Omore icecream. Iqtidar Ahmed, the Head Trade Marketing, Pakistan Tobacco Company gave a detailed presentation on PTC and threw light on its marketing. Azhar Sheikh, the Chief Operating Officer, Value TV shared his views on integrated marketing with the audience. Amir Zahoor Khan, the Group Head, KASB Bank explained how KASB Bank was marketing its products. Usman Bhatti, the Country Business Manager Nutrition, Nestle gave a detailed presentation highlighting the importance of baby milk and its marketing. Lahore School of Economics students of Marketing (MBA – II) have organized a seminar on Integrated Marketing Communication in Pakistan. See the vibrant glimpses of the Seminar here LIVE. Muhammad Ali Ahsan (Alumni 2002), the Brand Manager Chilled Dairies visited Lahore School of Economics as part of Lahore School Alumni Seminar Series. He gave a presentation on how Nestle promotes its products. He also showed interesting advertisements which were well liked by the students. The seminar was attended by the MBA/Msc graduating class of 2009. Muhammad Ali Ahsan also recounted his own days spent at Lahore School of Economics and the memories that will remain with him for life. A team from Telenor Pakistan visited Lahore School of Economics on May 15, 2009 and conducted a seminar on Career Management. Faysal Khan, the Manager Recruitment spoke about career options and how to harness the power of knowledge gained during university days. The interactive seminar was attended by graduating class of MBA /MSc Economics 2009. Nestle Pakistan visited Lahore School of Economics in connection with Nestle Pakistan’s Recruitment Drive For Management Trainees 2009 on May 14, 2009 and gave a presentation about how Nestle had grown in Pakistan since its inception. They also outlined the factors for their Management Trainee Program. Lahore School’s Alumni who were part of the Nestle team also shared there experiences. Agha Mohammad Khan Alumni (Batch 2001) visited Lahore School of Economics on May 9, 2009 as part of the Alumni Seminar Series. Agha Mohammad Khan is working as the Brand Manager Colas at Pepsi Cola International. He talked about the importance of brand essence and advertising and shared with students his experiences. Lahore School of Economics, Lahore Pakistan and Bahcesehir University, Istanbul Turkey established long term cooperation in the areas of Faculty Exchange, Joint Research and Student Exchange. Dr. Shahid Amjad Chaudhry, Rector Lahore School and Prof. Dr. Suheyl BATUM, Rector Bahcesehir University had signed the Memorandum of Understanding on May 17, 2006 at Bahcesehir University. Another Memorandum of Understanding to continue this cooperation has been signed in April, 2009. Lahore School of Economics Seminar on Professional Development of Lahore School faculty “The Art and Science of Teaching” was held on April 22, 2009. Dr. Shahid Amjad Chaudhry, the Rector, Dr. Shahid Siddiqui, Profesor Iqbal Khan, Dr. Theresa Chaudhty, Dr. Azam Chaudhry, Profsore Salaar Farooq and Dr. Sohail Zafar addressed the seminar.